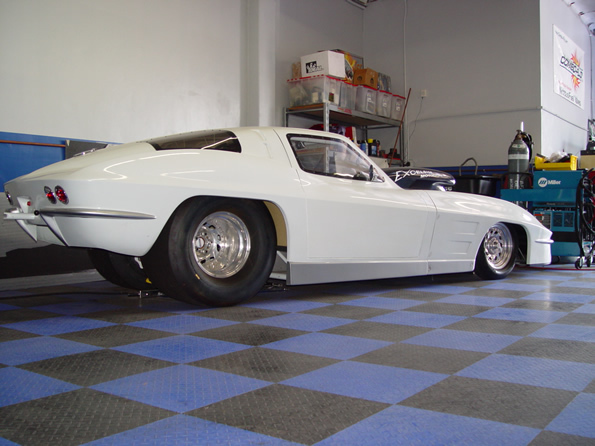 Kushan's 1963 Chevrolet Corvette split window big block dragster. With the demands of Kushan's business he has little time to spend on his dream of mixing old technology with new technology. His plans for his '63 Split Window Corvette is to incorporate a LS7 EFI engine on a 3 stage pneumatic nitrous system. In the meantime he is running his car with a 468cid big block Chevy running on methanol.